Dango is a rice-based Japanese sweet that is popular as a festival food, although it can be enjoyed throughout the year. 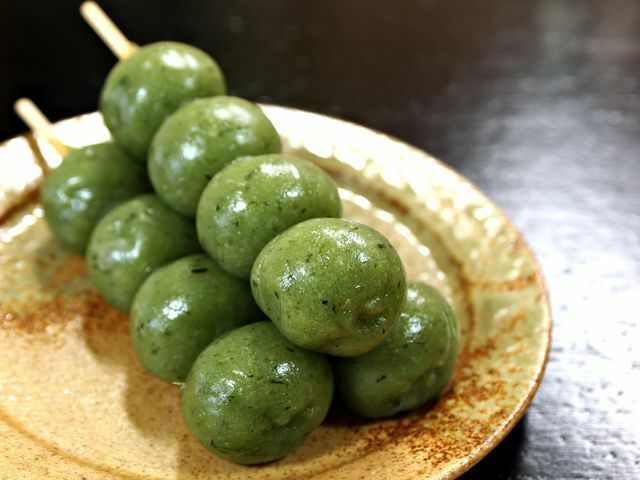 The dango itself is a sticky rice cake ball that is commonly skewered in bunches of 3 to 5 on a stick. What's the difference between dango and mochi? Dango and mochi can both be described as glutinous rice cakes. The difference comes from the way the rice cakes are made. 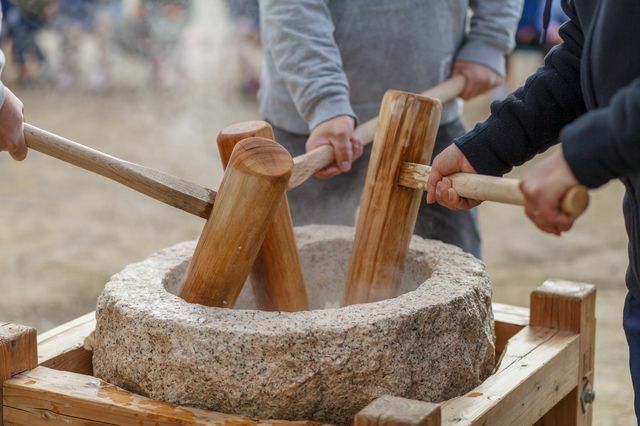 Mochi is made by steaming a special variety of glutenous rice called mochigome(餅米) and then pounding it until it becomes a soft, stretchy, sticky cake (mochi) that can be formed into a variety of shapes. 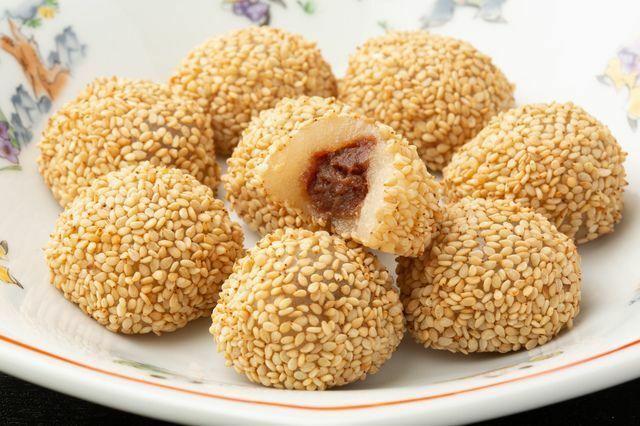 Dango, on the other hand, is made by adding water to glutenous rice flour and mixing until it becomes similarly stretchy. The sticky mixture then can then be formed into balls and steamed or boiled. What does dango taste like? Plain dango itself doesn't taste like all that much. It's sometimes slightly sweetened with sugar, but otherwise just has a rice-like flavor. What makes it so great is the springy, not too soft, not too firm texture that makes taking a bite so wonderful. Sanshoku/Hanami dango (pink, white, and green) are sometimes flavored with red shiso (for the pink dango) and mugwort or tea (for the green one), but these are pretty mild flavors. 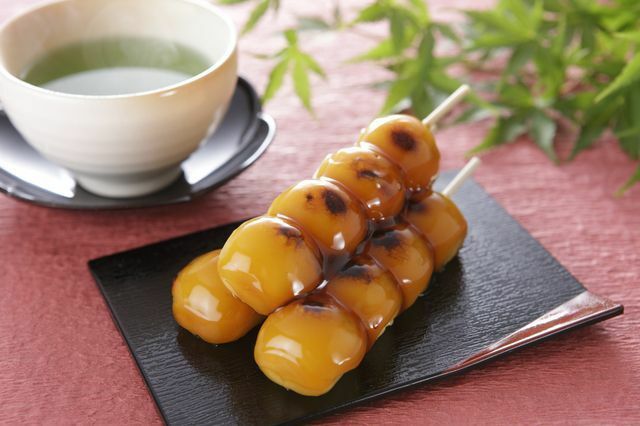 Dango is usually served on a stick as street food, but you will also find dango served in a bowl or included in various desserts. Following is a list of some of the most popular styles of dango. Midarashi (or mitarashi, depending on which region you're in) dango is the most popular type of dango in Japan. 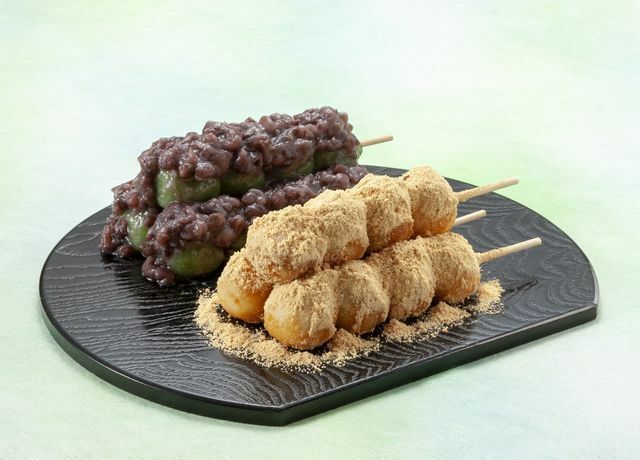 The dango are coated in a soy sauce-based sauce that is salty and sweet at the same time. Sometimes, the dango is grilled before being coated, sometimes after, and sometimes not at all. 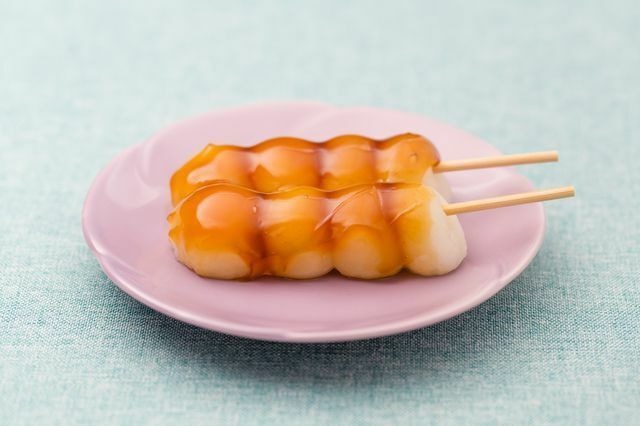 This scrumptious dango is easy to find anywhere, even at the supermarket or convenience store! Sanshoku (tri-color) dango has a distinct appearance, and is another popular type of dango. 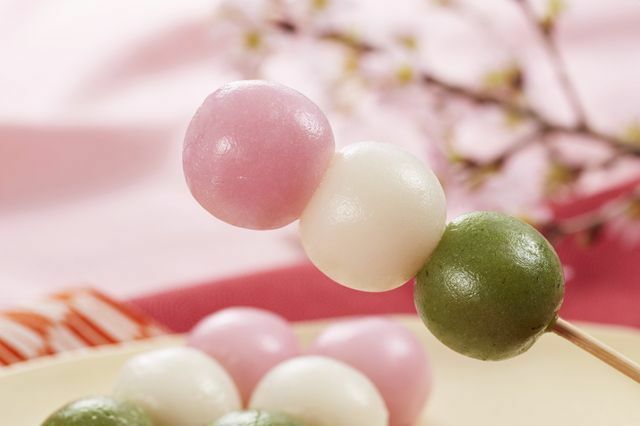 This type of dango is also called hanami dango (hanami means literally "looking at flowers" and refers specifically to cherry blossom viewing) . Nowadays, many of these dango will be colored with dye, and the flavor of each will be the same. However, traditional stores will still use natural ingredients to color and add a subtle flavor to the dango. The pink is traditionally dyed with red shiso, and the green is traditionally dyed with Japanese mugwort. 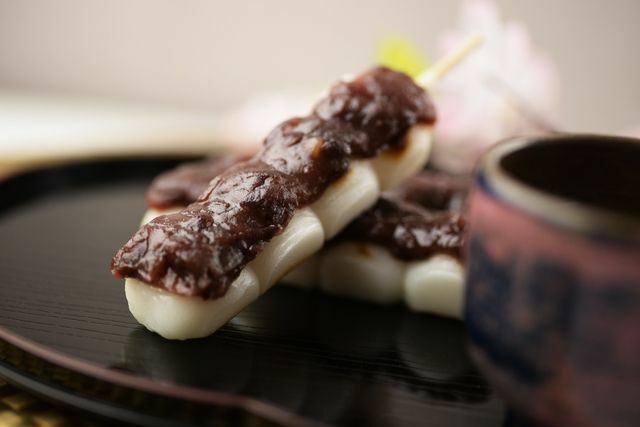 Azukian dango (more commonly called anko dango) is coated with a delicious, sweet layer of red bean paste. 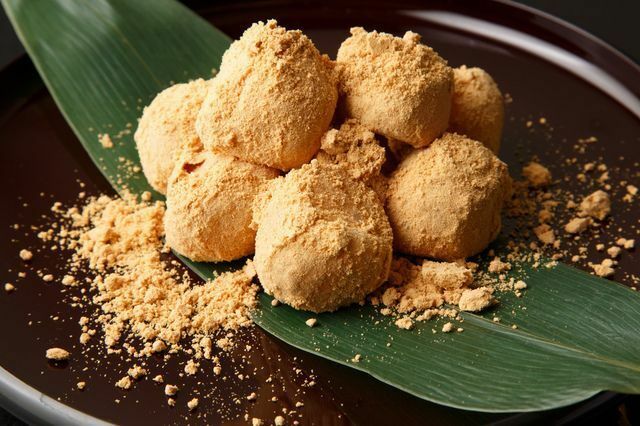 Kinako dango is coated in a fine, rich, nutty layer of soybean powder. Yum. Zunda dango isn't everyone's cup of tea, but people who love it really love it. 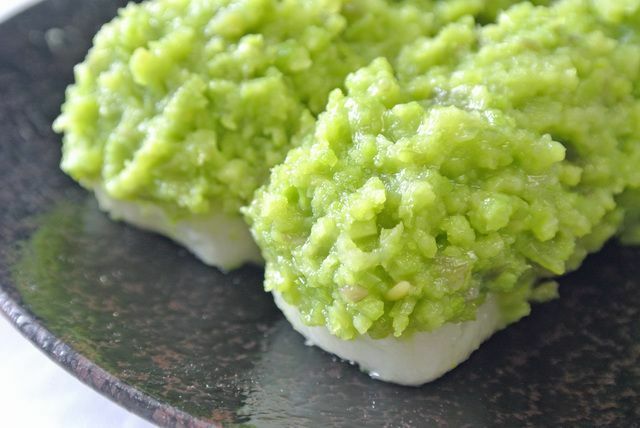 The thick green coating is a paste made from edamame. Goma (sesame seed) dango is a bit different than the other dangos listed above. This one is usually filled with either lotus paste, sweet red bean paste, or black sesame paste. It is then coated in sesame seeds and deep fried. Where can I get some dango? 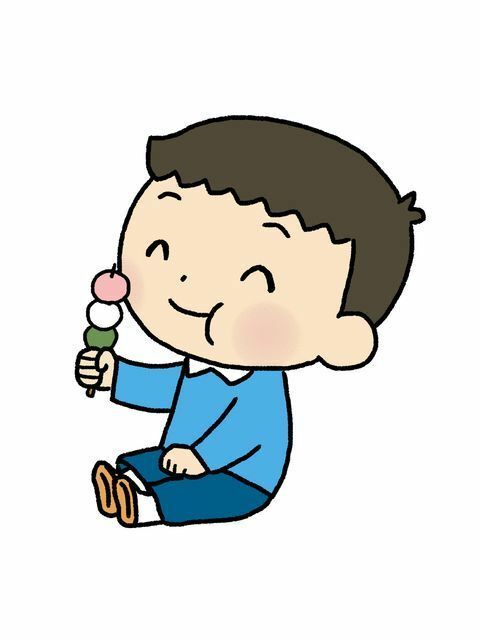 If you live in Japan, or are visiting, it is easy to get your hands on some dango. Head to a shotengai shopping street, local wagashiya (Japanese sweet store), or even just pop into a convenience store. If you are lucky enough to go to a festival, look for the food stalls and get your dango fix. For those of you living in another country, it can be a little trickier. If you're lucky enough to have a Japanese supermarket in your city, they will probably have some dango for sale somewhere in the store. Otherwise, you can try making your own! See the recipe below. Since there might be some trial and error involved, I've made this recipe is for a pretty small batch of dango. Once you get a good result, feel free to double or triple the batch as needed. 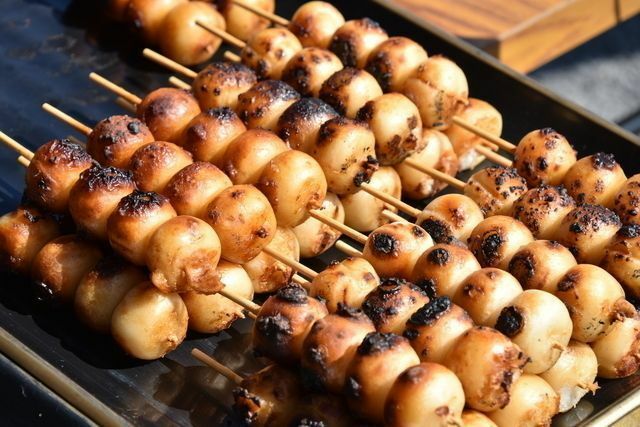 You can also experiment with toasting your dango before you coat them with sauce to get more of a street food flavor! 4. 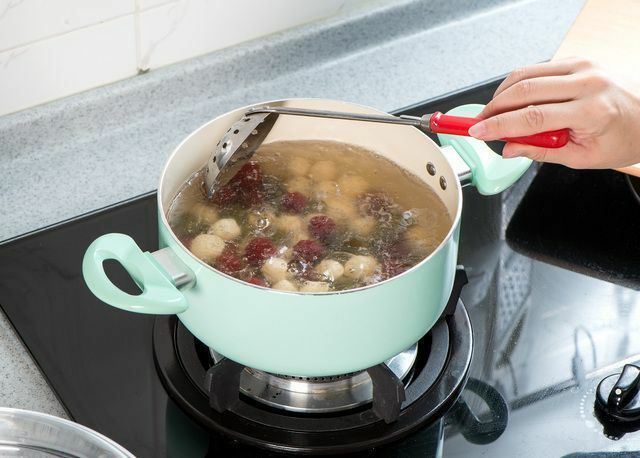 Remove the dango from the pot as they pop up using a skimmer, and set them aside. If you have wooden skewers, you can skewer the dango if you like, otherwise put them in a bowl to enjoy with a spoon! 2. Stir continuously, being sure not to burn the sauce. 3. Cook until the sauce reaches your desired thickness. I like a thick, jelly-like sauce, but others prefer a glaze-like consistency. Make it how you like it! 4. Pour the sauce over the dango and enjoy! Fuji Rock Festival 2019: The Largest Outdoor Music Festival In Japan!